Hotchkis Sport Suspension 4011S 1970-1974 Plymouth Barracuda (Cuda) Subframe Connectors. 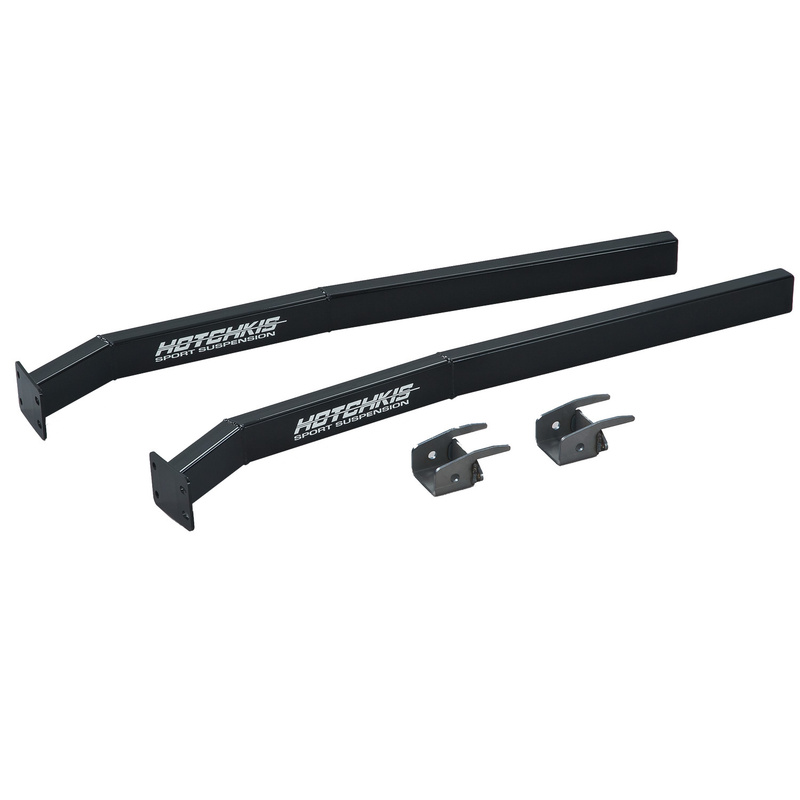 The Hotchkis Performance sub-frame connectors for 1970-1974 Plymouth Barracuda (Cuda) cars are designed to add rigidity to the chassis to improve vehicle performance by reducing chassis flex. Fabricated from 1.5 in. x 2.5 in. .120 wall rectangular steel these MIG welded connectors are powder coated gloss black. Installation of these connectors does not require modifications or cutting of the floor boards. This is a must have finishing touch for any E-Body restoration. Applications: E-Body1970 1971 1972 1973 1974 Plymouth Cuda.